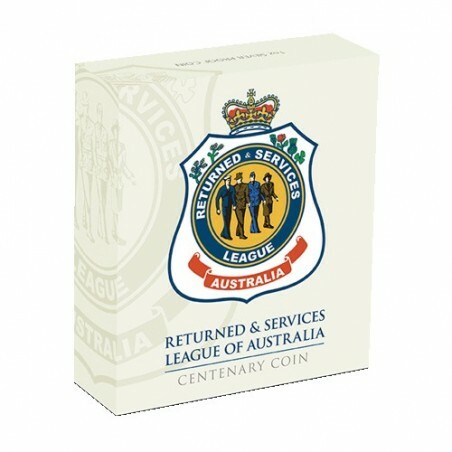 The objective of the RSL is to ensure that adequate care, compensation and commemoration is provided to returning servicemen and women, as well as those currently serving in the Australian Defence Force. Struck by The Perth Mint from 1oz of 99.9% pure silver this commemorative coin is issued as legal tender under the Australian Currency Act 1965. 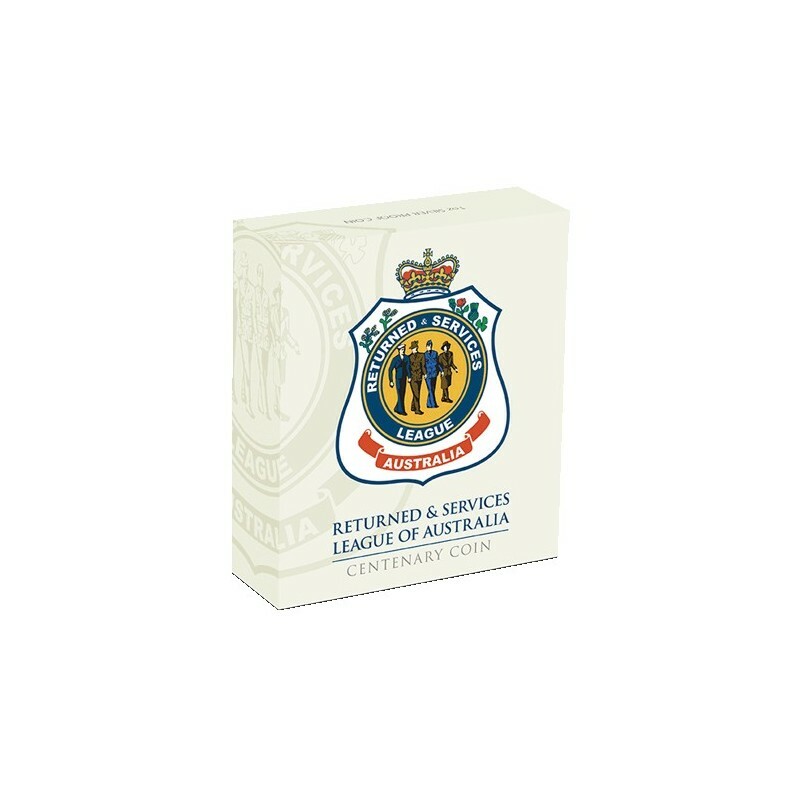 The Perth Mint will release no more than 5,000 RSL Centenary 2016 1oz Silver Proof Coins. The coin’s reverse features a representation of the RSL Badge with the inscription RSL CENTENARY LEST WE FORGET and ‘1916 2016’. The design also includes The Perth Mint’s ‘P’ Mintmark. The Ian Rank-Broadley effigy of Her Majesty Queen Elizabeth II, the monetary denomination, and the 2016 year-date are featured on the coin’s obverse. Each coin is presented in a classic grey presentation case within an illustrated shipper and is accompanied by a numbered Certificate of Authenticity.